We are auctioning off the contents for ICED BY BETSY cupcake coffee shop. This is a live auction. The equipment is in very nice shape! 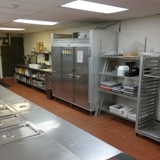 We are auctioning off several lots of restaurant equipment at our warehouse. We are auctioning off the contents for OPA YO KENNETT, LLC. frozen yogurt and ice cream shop. Simulcast auction with live and online bidding. The equipment is in very nice shape! We are auctioning off the contents for a landscaper business closure which includes vehicles, Kubota L39 front end loader backhoe, trailer, bulldozer, military wrecker, 1958 Chevy Truck equipment, tools, and supplies. We are auctioning off the contents including restraurant equipment, supplies, and furniture and they will be sold without reserve. Located in back of the Philadelphia Sports Club. This is a live public auction. A lot of equipment in this auction. Public auction for a 2000 Skyline modular within the mobile home community in Honey Brook, PA 19344. A double-wide with all the ammenities located on a double lot with a shed. "No" buyer's premium. 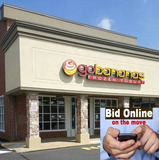 Ruggeri Cadillac of West Chester, PA. We are auctioning off equipment and office furniture. Items are being sold without reserve. "No" buyer's premium. Italian Village Restaurant & Pizzeria. We are auctioning off the contents, equipment, supplies, and furniture and they will be sold without reserve. Restaurant Pennsylvania Delaware County liquor license is being offered with a reserve. 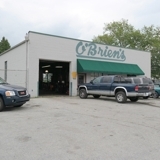 O'Brien's Automotive Service Shop. We are auctioning off supplies, tools, lifts, and service equipment. This is an "absolute auction" and everything will be sold to the highest bidders. Upattinas School Closure Auction. We are auctioning off supplies, tools, electronics, sporting goods, books, camera & video equipment, cafeteria equipment, office furniture, musical instruments, Ferris zero turn lawn mower, shed, gazebo & more! 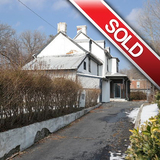 Auctioning personal property, vehicle, and a 3 bedroom ranch home on 5 gorgeous country acres within the Downingtown Area School District. A great home for anyone looking for privacy & great views and within a short drive of stores & eateries.